Over the last year my car review experiences have grown. Supporting the car industry and them supporting me is why today I want to inspire women around the globe, that one does not have to be a petrol head to admire and experience a supercar. 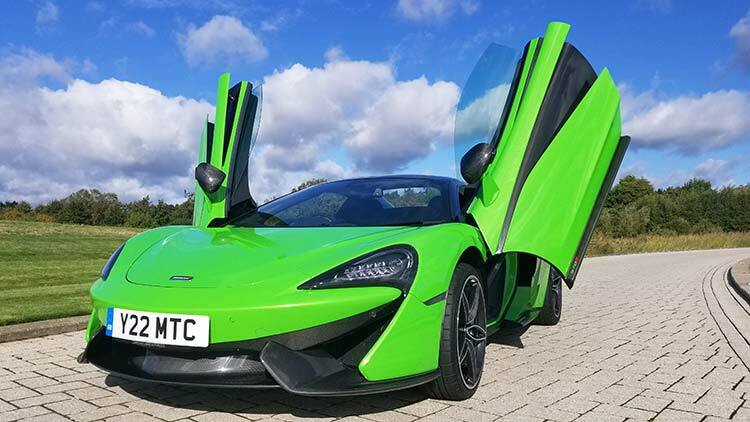 McLaren has a history of creating the finest engineering when it comes to super fast cars with a roaring engine, that literally knocks your socks off let alone your high heels, regarding the driving experience. 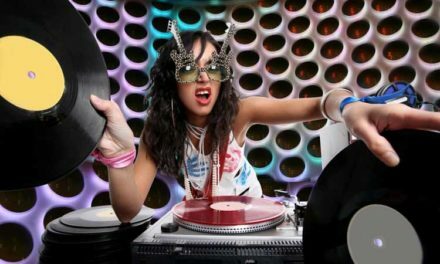 There is a fine balance trying to find my position in an industry where men dominate. 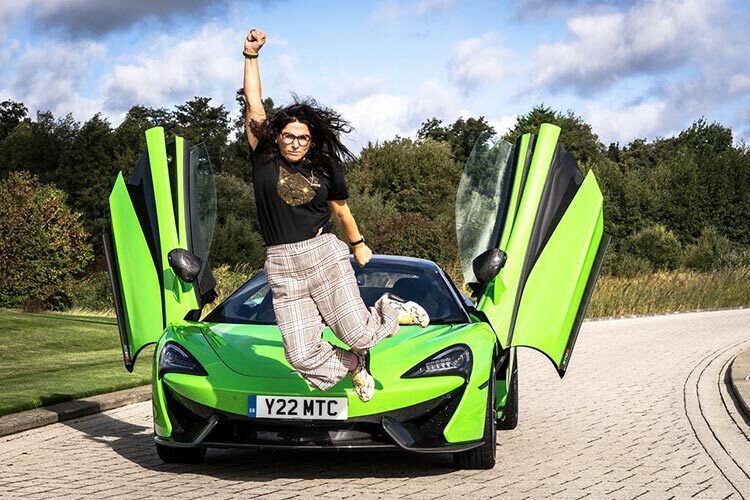 The amount of female influencers, reviewing cars let alone supercars in generally is very rare. I am loving that challenge in encouraging women to get behind supercars. The challenge for me is being my unique self and let my emotions run wild. 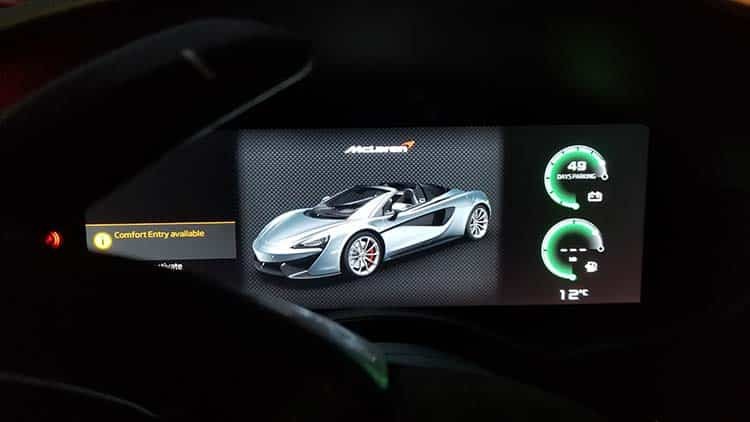 If a wild stallion was released this week, it was thanks to McLaren 570s. Us women come at a certain age, in where we are looking for adventure and self fulfilling thrills. For some it’s buying the limited edition Chanel boots, for others it’s aspiring to be the best possible mum out there. ( Not sure how I could even define that statement )? But for me it’s about pushing the boundaries and conquering my fears within driving supercars. I am a self taught driver learning new skills when it comes to driving luxury cars. That’s what I love the most, the learning curve of driving on public roads safely and confidently. 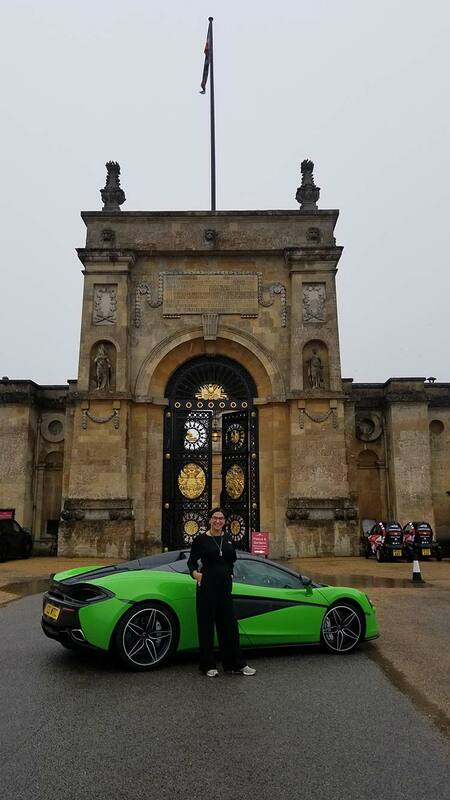 When I pulled up in the McLaren 570s, the reactions from other women confirmed that we need other women not only supporting out partners in their purchases for Supercars, but to take the bull by the horns and conquer our own misconceptions and start driving supercars too. Supercars, are very aggressive looking cars with an intimidating message, but that’s part of the challenge and the thrill of driving one. Fear is what grips us women when it comes to driving supercars. The fear of not knowing how to drive it, park it, let alone learning the art of paddling, paddling is gear changes on a steering wheel. It’s so much fun, it’s why men own supercars for the thrill of driving fast and loud even when fuelling up. Recently I experienced my first ever Jaguar Classic Track Day. If I can encourage any woman out there, to do this, the experience is priceless. Track days are the perfect safe environment in where I found my car legs and learn the art of driving fast cars, supercars and any other cars. The instructors know how to teach and understand my limitations and build around that. I have been driving many years, but track days teach you the art of racing and being a confident driver. Don’t ever ask a family member to teach you to drive a supercar. It will end up in carnage. It will scare you in never wanting to try. Don’t do it on a public road either, it’s too stressing. The result of a track day experience from other women, who’s husband owned many super cars, that they end up buying their own. 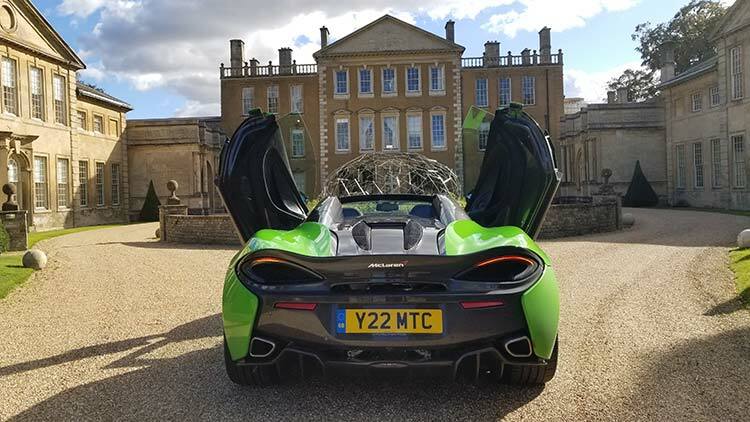 Driving a supercar can result in getting into restaurants that are so exclusive normally one needs to book months in advance. 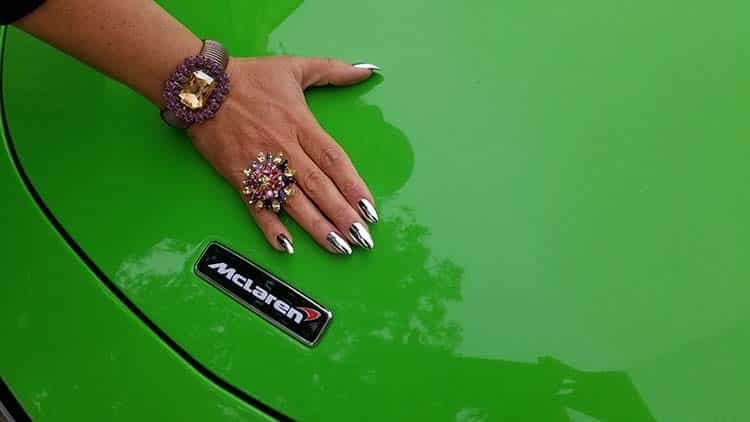 No one is ever going to knock back a lady in a mantis green McLaren. Regarding public roads, driving this supercar was like parting the red sea, everyone made space for me. 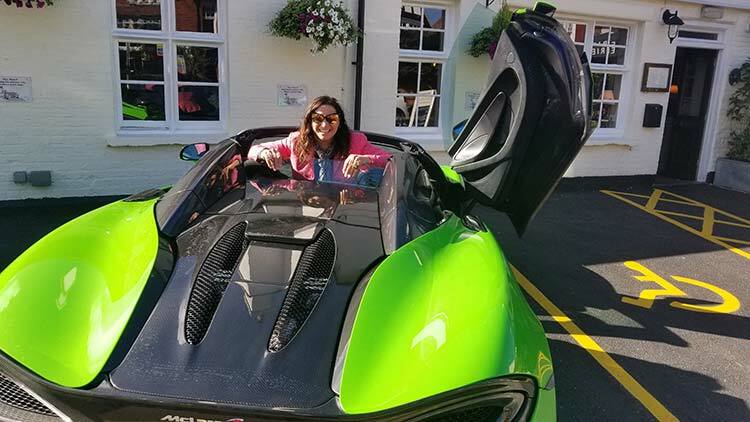 It’s inspiring to see a woman driving a supercar, let alone a McLaren 570s. As for dress code, always dress up apposed to down. You never know where you end up driving regarding events or places to eat. I chose to wear a black playsuit, with leather trainers. I chose to always drive in super chic trainers with plenty of grip for handling and breaking in sports mode. 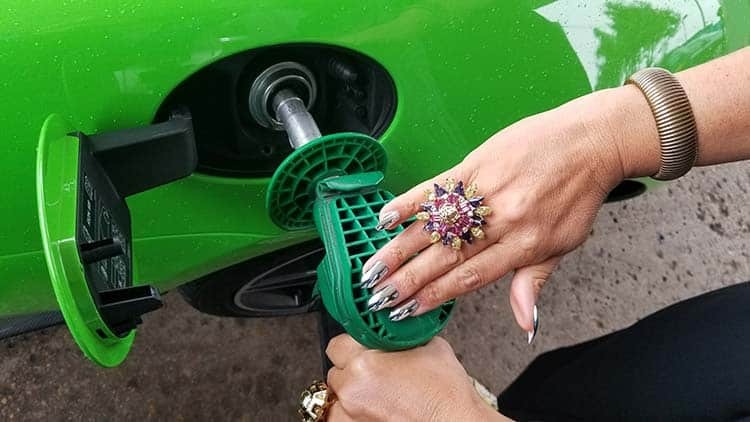 When fuelling up and driving, nothing short of plenty of ring bling and outrageous nail art. On this occasion I was trending metallic nails. 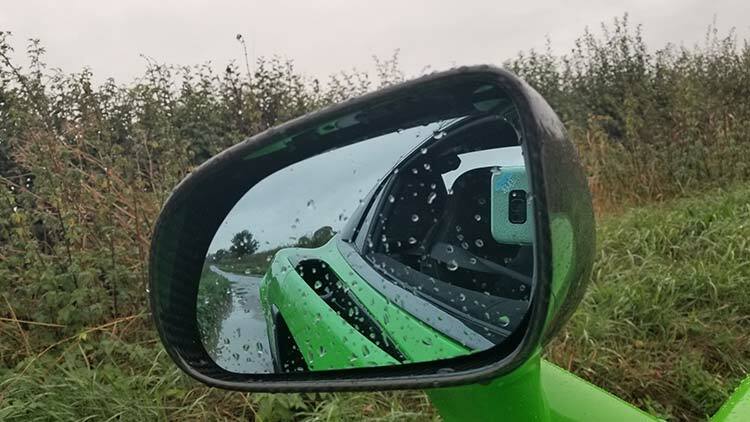 Aggressive supercar means outrageous eyewear. I was trending Dita Eyewear, with gold metallic prescriptions lenses I chose to put in, its a very new concept for 2018. Ever wonder how to open these butterfly doors? I made sure I used plenty of elbow power, it’s so much fun getting out and watching others in envy in seeing you doing so. Open with caution when parking, as they are butterfly doors after all and there is nothing normal about these doors. The space was much bigger than I could imagine. Now these cars are normally driven on special occasions. It’s so comfortable, I drove it for four days averaging 10 hours, each day. My pit-stop was afternoon tea, lunch and some shopping. 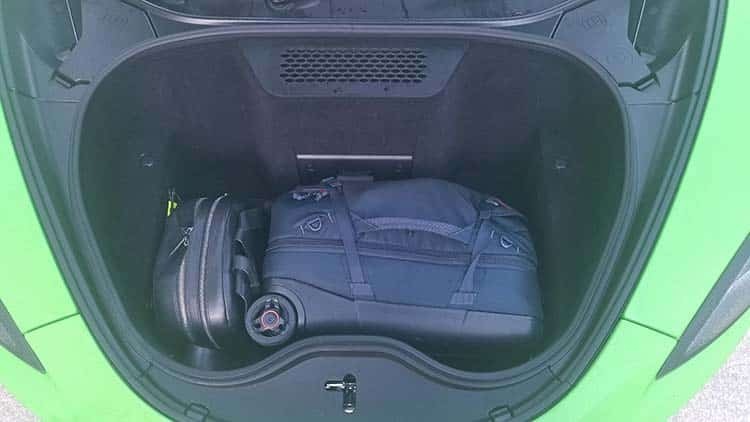 I managed to fit in both my leather backpack and 55L trolley bag, plenty for changing my clothes. 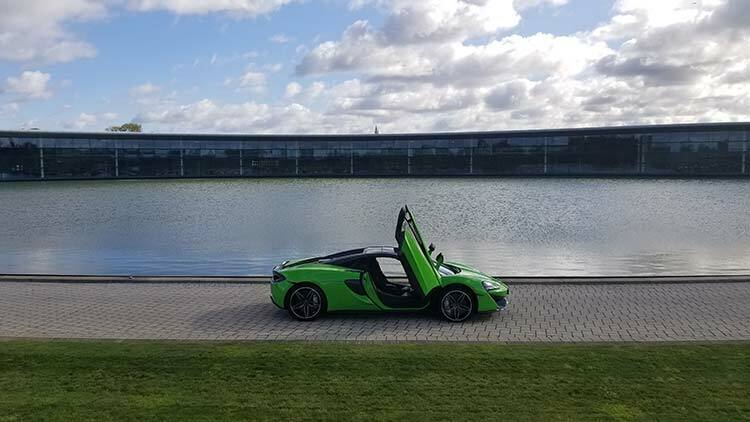 For more emotion and tech talk click on the link here and see my write up for McLaren for MenStyleFashion. 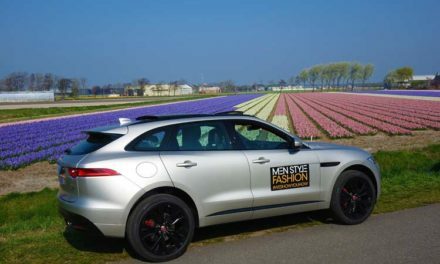 You can read all my car reviews here at menstylefashion.com In the last 2 months I have actually reviewed 14 cars across many different brands. That’s right, the car industry supports women wanting to learn the art of driving in a lifestyle setting. 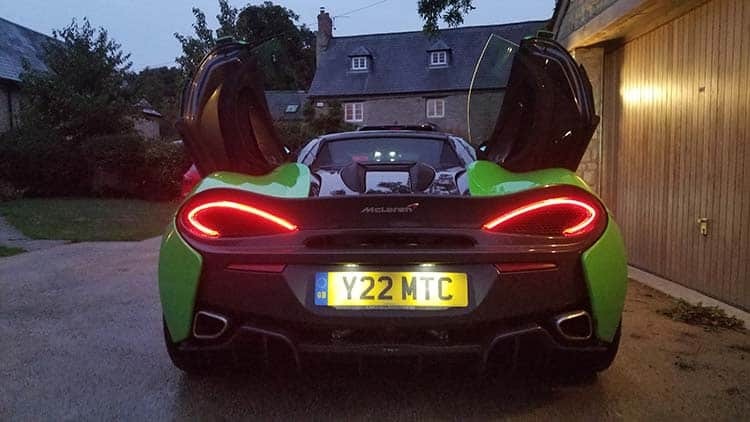 You don’t have to be a petrol head to get behind a McLaren, the experience is priceless. After all, us women love supercars too.